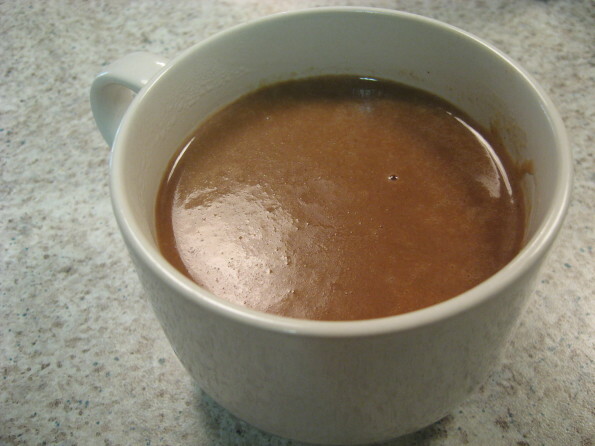 Champurrado is a Mexican chocolate milk drink whereas a resembling cuisine is made in Philippines as rice porridge and is referred to as Champorado. The things that are common are that both are made and served for breakfast and chocolate or cocoa powder is one of the main Ingredients along with glutinous rice for pudding and glutinous corn flour for drink. This Mexican Champurrado is strongly flavored with cinnamon and star anise and can be served hot or cold. Put a pan on high heat with 3 cups of water in it to boil. When boiling starts add cinnamon sticks and star anise. Lower the heat to simmer covered for 10 minutes. Remove from heat and pick out cinnamon sticks and star anise. Mix in masa while stirring regularly. That will make a paste. Put back on low medium heat and pour in milk while stirring so as to dissolve the masa paste well. Add in sugar and chocolate. Stir nicely and simmer for 10 minutes. Churn with a wooden churner so as to dissolve any un-dissolved particles in milk and turn off the heat.